Since I went off wheat over a year ago I have desperately missed the taste of a freshly baked chocolate chip cookie. I’ve tested multiple recipes guaranteeing delicious results but none have been worthy of being dunked into my cold glass of milk until today. 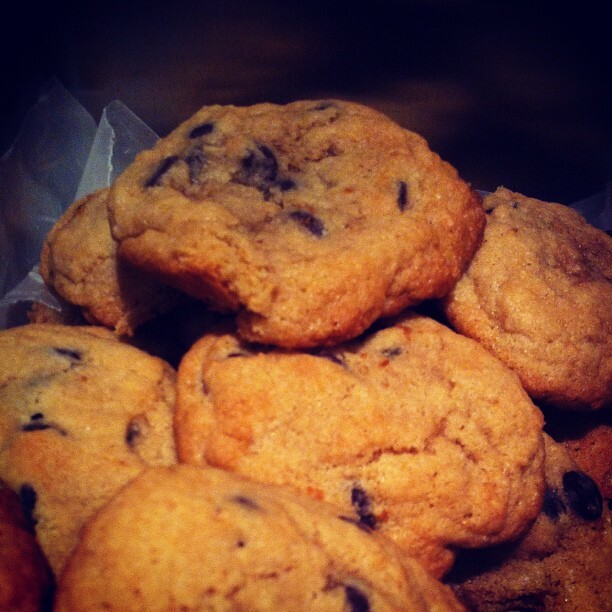 Based on my year’s worth of attempts, research and this recipe (that I modified) I think I have found the recipe that will become my go-to for gluten free chocolate chip cookies! The Hubs said they tasted like the real deal and L’il E devoured his cookie in seconds. They’re soft, chewy and buttery sweet! #Winning! Do you think they’re dunk-worthy?